Includes: Shirt, pants with boot tops, hat, hood, belt, diploma prop. Only buzzards circle this monster's field. 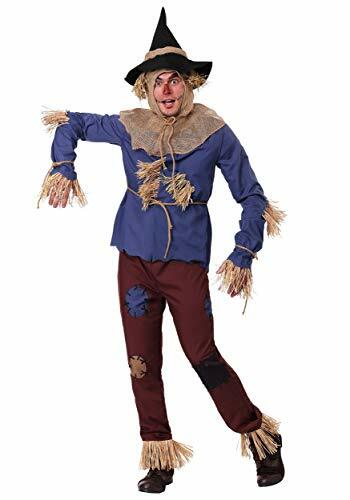 The sadistic scarecrow costume is showcased by an ani-motion mouth movement scarecrow mask. You may be stuffed with straw, but if anyone leaves out the "Mr." they'd best watch out. 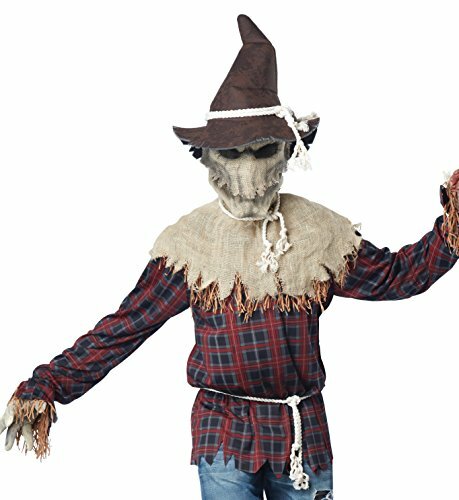 Mr. Scarecrow costume features an oversized burlap top with sewn-on patches, a ragged hem and faux hay trim at the neck and sleeves. Dark brown burlap pants have faux straw poking out the bottom and rope ties around the ankles. Pop on the pointy Scarecrow hat, tie on the rope belt and get ready to send some Crows flying! 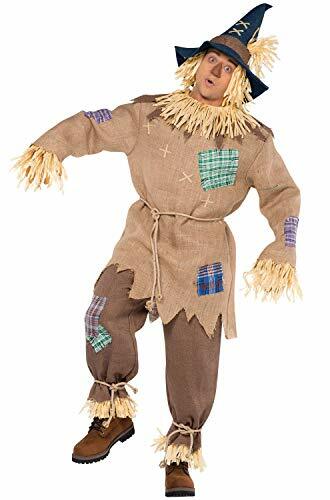 Deluxe scarecrow costume for adults. 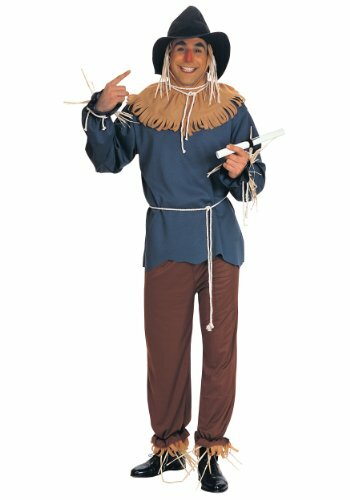 Deluxe adult scarecrow costume is perfect for traveling down a brick road or just hanging out on a farm keeping the birds company. Made with burlap sack material, straw trim, and assorted patchwork. Cloth waist, wrist, and ankle ties included. 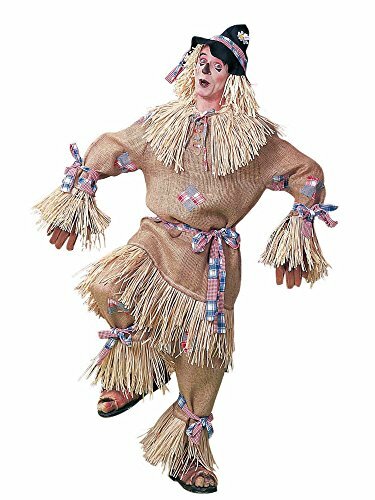 The scarecrow costume is completed with a black hat with fake straw hair and a cloth ribbon wrapped around the crown of the head. You'll be sure to impress dorothy this Halloween. Look to Forum novelties for all your Halloween, luau, Easter, mardi gras, and St. Patrick's day supplies. This Wicked Witch of The West costume includes a long black gown, petticoat, hat and stick-on black fingernails. 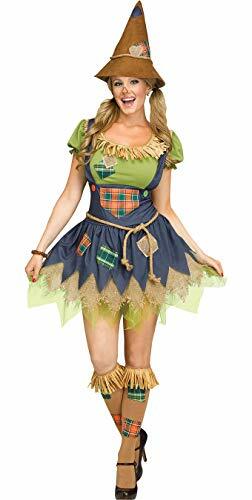 Our Wicked Witch costume comes in adult sizes X-Large, Plus Size 3X, Large, Small, Medium, Plus Size 2X. Wicked witch green makeup sold separately from this adult witch Halloween costume.